Is there a “Standard of the World” in the automotive industry today? “The Standard of the World” slogan was associated with the Cadillac brand for many years. Cadillac was founded in 1902 by Henry M.Leland, a machinist, inventor, engineer and automotive entrepreneur with a rich experience in toolmaking, metrology and manufacturing. The new company was born from the remnants of the Henry Ford Company which supposed to be liquidated but, at the advice of Leland, who was hired to appraise the plant, was reorganized and named after Antoine de la Mothe Cadillac, the founder of the city of Detroit. In 1909 General Motors purchased Cadillac, making it its prestige division, devoted to the production of large luxury vehicles. 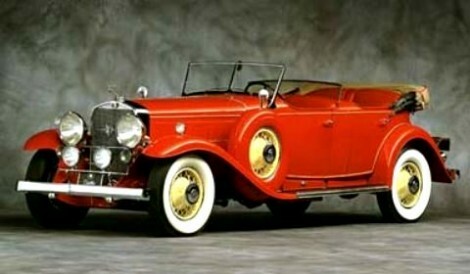 From its very beginnings Cadillac, due to the talent and experience of its founder, focused on precision engineering. Having previously worked for precision tool manufacturer Brown & Sharpe (its advertising was “The World’s Standard for Accuracy”) and gunmaker Colt, Leland becomes principal in the machine shop Leland & Faulconer and supplies engines to Olds Motor Vehicle Company (later known as Oldsmobile). After founding Cadillac, Leland uses for its first car an engine he originally developed for Oldsmobile. Precision engineering meant reliability, a very important factor at the beginning of the 20th century for the fledgling motor industry. On May 2, 1901, Carl Johansson, a Swedish inventor and scientist, was granted his first patent for the “Gauge Block Sets for Precision Measurement”. A gauge block or Jo block is a precision ground and lapped length measuring standard and Henry Leland was the first in America who bought such a set, around 1908. Sir Thomas R. Dewar, a member of parliament of the United Kingdom, created in 1904 the Dewar Trophy, to be awarded each year by the Royal Automobile Club of England “to the motor car which should successfully complete the most meritorious performance or test furthering the interests and advancement of the [automobile] industry” *. In 1908 three stock cars were picked from a London Cadillac dealer, driven 50 miles, disassembled completely, the parts all mixed up and, 89 parts requiring extreme accuracy thrown out and replaced with new parts procured from the same London dealer. The cars were then reassembled and driven for 500 miles at the end of which one of the cars was locked for a few months and then used in a 2000 mile reliability trial. It ended winning the Dewar Trophy. Just five years later Cadillac wins a new Dewar Trophy, this time for its standard electric starters, which were tested by the RAC for 1,000 starts. Cadillac had many other contributions to the automotive industry. Among them, Cadillac was the first volume manufacturer of full metal bodies in 1910 and two years later, the first to incorporate an electrical system enabling starting, ignition and lighting. In 1926 it installed shatter-resistant glass, in 1938 premiers the sunroof, in 1948 offered a “memory seat” function and in 1964 the first fully automatic heating, venting and air conditioning system. In 1915, Cadillac introduces the first mass-produced car with a V8 water cooled engine which will become a signature for the Cadillac brand and in the ‘30s accommodates the world’s first V16 engine in a passenger car. The passion for high quality, innovative product and the real results achieved by Cadillac, in its first decades of existence, gave the brand a reputation of leadership in the automotive business which was translated by marketing into the advertising slogan “The Standard of the World”. So successful and famous the brand became, due to its achievements, that people started using the name Cadillac for describing other products or services as being the best of their kind, calling them “the Cadillac of [name of industry]”. 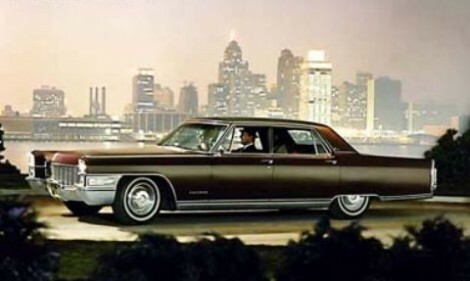 Cadillac was the preferred luxury brand for more than half century but after the first oil crisis in 1973, its image started a slow decline, when the products became commoditized and, as consequence, “The Standard of the World” slogan faded away from the advertising materials and especially from the people’s mind in connection with the brand. The expression “the Cadillac of [name of industry]” is used these days with a different name: Apple. Like in ‘How does one become the “Apple of [insert industry here]“?’ in a post in Fast Company magazine. If the Cadillac brand is not associated with “The Standard of the World” image anymore, is there today an automotive brand that can be considered “The Standard of the World”? Cadillac excelled in engineering, styling, craftsmanship, marketing, originality, luxury and innovation. If we look for a standard today, would these same elements be its defining attributes, or new ones should be taken in consideration? It is interesting that, looking at Apple, the company is present and excels in the same areas as Cadillac was with the exception of one: luxury. Cadillac was a luxury product meant for the upper classes, for the very few. Apple products are meant for the large masses, for everybody. That perhaps reflects the changing times: Cadillac, for most part, was a leader during the Industrial Economy when the nature of offerings was Tangible and their key attribute was Standardized, the seller a Manufacturer and the buyer a User, and the factors of demand were Features, as described by Joseph Pine and James Gilmore in their book The Experience Economy. Today we live in the experience economy and, as Joseph and Gilmore define them, the nature of offerings is Memorable and their key attribute is Personal, the seller a Stager and the buyer a Guest, and the factors of demand are Sensations. All these economic characteristics of the present days are well reflected by Apple and there are also a series of automotive businesses which are at the forefront in the experience economy. For example, BMW is not a manufacturer but a stager. Besides manufacturing cars, it stages driving schools, a European delivery (including hotel accommodation, factory and museum visits, driving through Europe, followed by the car being delivered to the customer place). Experiencing all these, the buyer is a guest not a user. People buy BMWs not for their features but for their sensations. 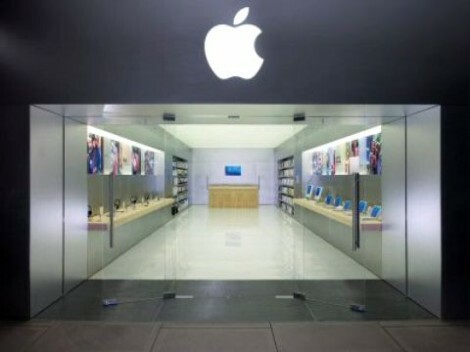 Could “The Standard of the World” be associated today, in the automotive business, with a company making not high-end, luxury vehicles, but automobiles for the large masses, like Apple does, with its products, in the computer industry? What does a car company need to do today to become “The Standard of the World”, and be known as the “Apple of the automotive industry” ? Please let me know your opinion. I would like to hear from you and share your ideas. My miscellaneous ramblings on this subject. I read your article with interest as I was a Cadillac designer in the early 70′s. The car you show is one I worked on. It might interest you to know that I worked on those cars reluctantly. I was a wild eyed young designer from California. A sports car guy! “Why”, I asked my manager, “would you ask me to design a product for which I have no affinity or interest”. The answer was “that is why we want you here. We want you to change it”. This turned out not to be true. I learned that if I wanted my designs to be produced I needed to follow the existing path, not try to create a new one. 1. Because Cadillac was a relatively low volume product (compared to Chevrolet and others), that we could not do some of the designs or shapes that were allowed with other brands. Because of the amortization of tooling costs over high volume production, other brands were able to have more sophistated forms than Cadillac. On the other hand, because of our low volume, we could use more die-casting and relatively low volume methods which gave us some advantages. 2. 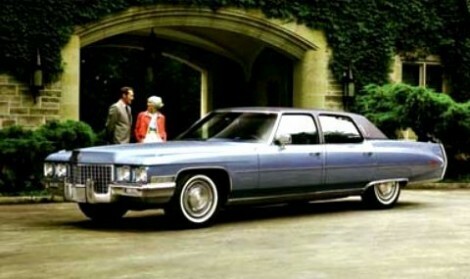 I was amazed and disgusted when I saw the low quality of fit and finish of the Cadillacs in the 70′s. I could stick my finger in some of the panel gaps. This was an era where build tolerances were very poor and began the reduction of perceived quality. 3. I was surprised to realize how much contribution individual designers could make to the design of a car. There were 3 desginers, a studio chief, and assistant chief. We did most of the designs for production Cadillacs. 4. I learned a lot from Bill Mitchell who was V.P. of design at that time. He was a larger-than-life character, but he had a fantastic understanding of design and image. I have many stories about him. My first assignment was in Studio-X, working directly for him on a top secret project. He also spent significant time in the Cadillac studio. 5. In that era, Cadillac had several design cues that had to be on all the cars. The huge egg-crate grille was one of them. Large chrome headers on the front of the hood was another. Hope these miscellaneoud ramblings are of interest to someone. Hey, I’ve been checking out your site for awhile. This is another good post so I figured I should pay you a compliment. I look forward to more. You are currently reading The Standard of the World at car_brand_image.